This 9-day unique Morocco cultural tour takes you well off the beaten path in South Morocco! On this fantastic journey you explore the markets of Taroudant, the desert culture of the Sahara, the local crafts of Tazenakht and Tamegroute in the Draa Valley and spectacular mountain drives through the Anti-Atlas and High Atlas ranges. You will discover mountains, medinas, kasbahs, desert and palm oases, with plenty of off-road adventures, hikes and camel-rides linking it all together. A special feature of this tour is the chance to spend two nights in remote bivouac camps - one nestled in a canyon at the edge of the Sahara, the other deep in the dunes of Erg Chigaga from where you will have the opportunity to visit small villages and experience life of a true nomad. You will hear indigenous music of the Sahara, learn traditional local handicrafts such as carpet-weaving and pottery as well as getting a close insight to the local culture. Finally, imagine yourself as a filmstar as we visit the Kasbah of Ait Benhaddou, possibly the most famous film location in Morocco before we wind our way over the High Atlas Mountains to reach the magical city of Marrakech where the tour ends! Ideal for families and travellers of all fitness levels and all ages. The tour starts from Agadir or Marrakech where we will pick you up in the morning from the airport or your hotel (as required). We drive directly to Taroudant (from Marrakech 3.5 hours and from Agadir in 1.5 hours). Depending on your arrival time, you will enjoy a guided visit of Taroudant medina in the afternoon. During the visit, you will learn about the history of the city and visit the two souks (called the ‘Arab souk’ and the ‘Berber souk’, although both serve both client groups that live in the city!) and the tanneries. The rest of the day is free to relax and explore. Taroudant is a pleasant walled town offering opportunities to see local life in action and to explore the souks. Here, we are on the Souss River, whose fertile flood plains provide fresh produce for the whole region. Many of the crafts you will see practiced in the souks are not providing trinkets for tourists, but rather agricultural implements and tools for local farmers. N.B. If we arrive too late for the guided visit, you may still have time to take a caleche (horse and carriage) around the city’s impressive walls as the sun sets. The guided visit can be moved to the morning of Day 2. We leave Taroudant in the morning and drive 1.5 hours into the foothills of Anti-Atlas Mountains via Taliouine. Taliouine is a small market town famous for saffron and we will stop to visit a saffron co-op and sample a glass of saffron tea. You will also learn how to recognise ‘true’ saffron as opposed to the cheaper ‘fake’ varieties. If we are here on a Monday, you will experience the bustle of the weekly market. Before leaving Taliouine we make time for an early lunch in one of the many streetside cafés or at a small auberge (not incl). We then cross spectacular countryside on unmade road in our 4x4 (approx 3hrs) into the heart of the Anti-Atlas to a secluded bivouac at Tissint. This area is where the majestic Anti-Atlas range meets the Sahara desert and we traverse terrain up to 2000m above sea level which, depending on the season, can be very dry and dusty, in contrast with the valleys and gorges where we will see palm trees, streams and even waterfalls. We spend the night in a very comfortable bivouac with campfire, tucked away in a rocky canyon, close to nature. N.B. We can arrange traditional village music upon request (at an additional cost). After breakfast, we take a guided walk around Tissint village and the surrounding area with our local guide. The walk comprises 4 hours through palm groves and gardens and we will stop by the river bank for a picnic (or return to camp if weather is bad). Donkeys can be arranged to carry small children if required. After lunch, at around 3pm, our tour continues from the camp on tarmac road, following the river, for about 1.5 hours to the small village of Foum Zguid (the mouth to the desert in the Jbel Bani mountain ridge) to reach our boutique guest-house with pool and restaurant. Here you can relax for the rest of the day, swim before dinner and watch the sun set over the Sahara. Guests have the morning to relax and enjoy the pool before lunch at the hotel (or a packed lunch to enjoy in the Sahara). Then it’s a 3 hour off-road adventure on desert pistes into the great Sahara - following the old Paris-Dakar rally route to reach the majestic high dunes of Erg Chigaga to spend the night in a very comfortable desert camp with local nomads. Along the way we cross Iriqui National Park with its beds of ephemeral rivers, rocky desert and the dried Lake Iriqui, stopping to search for fossils in the bedrock along the way. In the evening, you will be entertained by folkloric entertainment around the campfire and warm hospitality from the local Blue Men nomadic tribespeople of the Sahara. Camel rides and sand-boarding in the dunes at sunset are all included. Our own standard camp features proper beds, toilets and showers, solar-powered lighting and campfire. There is also the option for a sumptuous luxury desert camp this night if preferred. NOTE: If you do NOT Want to spend this night in Sahara desert camp, then on Day 5 you can travel straight from Foum Zguid to Ait Benhaddou Kasbah to spend the night, by-passing the Sahara and Draa Valley sections. You will stop in Tazenakht in the afternoon of Day 5 to spend time with the Carpet Co-Operative, rejoining the tour programme as of Day 8. 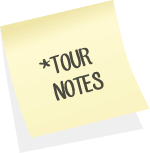 This reduces tour duration by 2 days (See Tour Notes). In the morning, we take breakfast in the dunes at our desert camp. Then we set off from Erg Chigaga off-road in our 4x4, traversing the hamada (rocky, barren desert), which stretches as far as the Algerian border) and stony desert (erg) via the ‘Sacred Oasis’ of Oum Lâalag to the village of M’Hamid el Ghizlane at foot of the beautiful Draa Valley Oasis (journey of 2-3hrs off-road to village). M’Hamid is known as the gateway to the Sahara and is famous for its festivals of indigenous desert music every March and November. We continue north up the palm-lined Draa Valley. On route, we stop at Tamegroute to spend time with Berber potters and learn the art of decorating ceramics using henna. In Tamegroute we will also visit the ancient Koranic library. We have lunch in Zagora in a delightful riad garden. After lunch, we continue our journey. In Tissergate, we can visit the museum within this mud-built village, or ksar, to see how life in the old kasbahs really was lived. Depending on our time, we may also visit the famous silversmiths in the village of Amezrou near Zagora – they inherited their methods of smelting and casting silver designs from the Jews that once lived in this area. On our way through Zagora, watch out for the famous sign indicating "52 days to Timbuktu" (by camel, of course!). Our exploration of the palm groves ends for the day either in Agdz or nearby Tamnougalte, in the the heart of the lush green palm oasis, where we spend the night. Leaving Agdz and the Jbel Saghro mountain range under which it sits, we loop back into the Anti-Atlas, to the village of Tazenakht (1.5hrs drive). We then continue a short way to meet a local womens’ carpet co-operative. We spend around 3hrs here, with lunch included, learning to make carpets typical of the Atlas Mountains. Here you can see many different styles and patterns from different Berber tribes and learn about the symbolism of the different colours and shapes woven into the carpets. At around 3pm, we hit the road again along the eastern side of Jbel Siroua and head east towards UNESCO World Heritage Site of Kasbah Ait Benhaddou (approx. 2hrs), where we will spend the night. The impressive hilltop fortress at Ait Benhaddou is famous these days mostly for its appearance as a backdrop in many Hollywood blockbuster movies - Lawrence of Arabia, Jewel in the Nile and _Gladiator_to name a few. The hilltop kasbah (or more accurately a ksar as it comprises several dwellings) is built in the typical Southern Morocco architectural style using sun-baked mud bricks mixed with straw. Turrets of the individual houses are carved with Berber motifs, with slit windows and crenelated ramparts. ALTERNATIVE OPTION: for those who prefer not to learn carpet-weaving, you can stay in Agdz in the palmery in the morning to relax and explore the oasis on foot or the kasbah at Tamnougalte. Then after lunch continue north via Ouarzazate to visit the restored Kasbah Taourirt and the Atlas Film Studios before reaching Ait Benhaddou for the night. We will have the morning free to relax and we take a walking visit to Ait Benhaddou Kasbah, a UNESCO world heritage site. There are around 8 families still living here and some of the original construction dates back to the 17th century. Nowadays, a few houses are still occupied and are open to visitors. You can walk through the narrow alleys to the grain store, or agadir, at the top of the hill which has incredible views across the surrounding desert landscape. It takes around 2hrs for visit and then we can stop for lunch (not inc) in a local restaurant before resuming our journey. From Ait Benhaddou, we head off over the High Atlas Mountains on the Tizi n Tichka pass, heading north to Marrakech. The Tizi n Tichka is North Africa’s highest major moutain pass at 2260m above sea level and is reached via a series of hairpin bends and switchback loops. Not for the faint-hearted, but defintely worth the journey! Sights along the way include Berber villages, local terraced agriculture and stunning mountain scenery. We reach Marrakech by around 6/7pm, in time for you to freshen up at your riad or hotel before dinner, which is included. This is the final day of your Morocco holiday and check-out is at midday. Our services normally will end here, but we can arrange extra nights in Marrakech for you, guided visits and any airport transfers as required. You can also choose to continue your holiday in Morocco with us by adding-on one of our Suggested Morocco Adventure Tour itineraries.